​Are you thinking of buying a new radiator but you don't quite know what style to go for? If so, you should find this article useful. Today, we are going to look at three reasons why it makes sense to buy a column radiator. Don't let this information sway you too much though, because other styles of radiators can be great too. You need to read several different articles about different types of radiator, which you can find by following the links in this article. Column radiators are a fantastic choice of radiator, but they aren't right for everyone, so read this article and see if they suit you. It's no coincidence that you find column radiators particularly popular in properties with high ceilings, such as Victorian properties. The bigger and more spacious the room, the more heat it requires. A column heater is much better than a panel heater because it has a greater surface area and if you know anything about radiators, it should be that the larger the surface area than more heat it could produce. 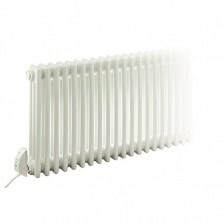 If you want to have as much heat in a room as possible then this is a great choice of radiator. 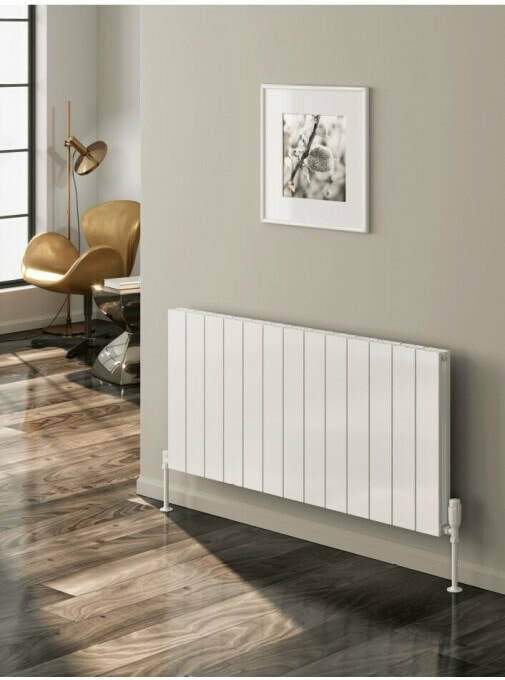 The only type of panel radiator that can come close to offering the surface area of a column radiator is a triple panel, double convector finned, panel radiator. With column heaters, each individual column is its own self-contained unit. You need a minimum of 2 columns for the radiator to work but they simply click and clack together to make radiators as large or small as you need. This makes them highly flexible because you can add or remove columns depending on the space. For example, if you want the same style of radiator throughout your home, and you have a small bathroom, a large kitchen, and a medium sized living room, you can have the same style of radiator; you just adjust the number of columns used for each radiator. They are also great for unusual shapes, such as curved bay windows because you can use different shaped connectors between each column to mould the overall radiator to the specific space. Column radiators have what we call in the business a "classic look". This means that they have an ageless and timeless appeal to them. It doesn't matter what decor you have, how much time has gone between you buying the radiator and the present moment, it will always look good. It has a style that speaks for itself and doesn't have to keep up with the winds and wishes of fickle consumers. As you can appreciate, a column radiator is an excellent choice for many households. They have so many positive properties that he can't really go wrong if you choose a column radiator. ​Are you experiencing problems with your radiators, for example, is one of your radiators hotter than the others are? You could have a balancing problem. In this article, we are going to explore how you can balance your radiators, what this means, and why you need to do it. Don't worry if you think this is a daunting task, because although it might sound complicated, it is actually much more straightforward than you might at first assume. What does it mean to balance a radiator? Before we move on to explaining how you can balance your radiators, you first need to understand why they need balancing in the first place. We use the term balance because it refers to the unevenness in the way that heat distributes through your central heating system. When your central heating system is not correctly balanced, the heat will not move through the system in an even manner. This gives rise to differences in temperatures between radiators when they're valves are fully open. Of course, if you set the valve to different temperatures then the radiators will feel different but if they are fully open and the radiators still feel different, this indicates a problem with balance. To balance your radiators means to create an even heat distribution throughout your central heating system. 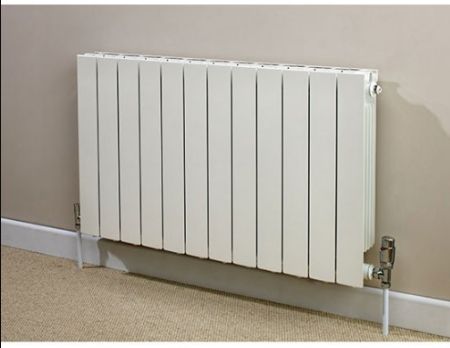 Whether you have horizontal radiators vertical radiators, column radiators, panel radiators, if you heat them using a central heating boiler, they are susceptible to balance issues. Therefore, we recommend that you check the temperature of your radiators at least once every two months with all of their valves fully open to make sure they are working correctly. If they are not, you will need to balance your radiators. Let's turn our attention to how to do this now. When you balance your radiators, you have to start from a cold system. This means that an ideal time to balance your radiators is in autumn just before the winter hits. Fully open the valves on your radiator so that the water flows through each radiator fully. This means opening both the lock shield valve to its full turning and ensuring any manual or thermostatic valves are set to the highest temperature/opening. Now switch on your central heating system to around 22 degrees Celsius. Walk around all of your radiators to see which ones get hottest fastest. You will have to do this quickly in order to get it right or have your friends help you out. You need a thermometer to make sure that you can genuinely test the temperature of each radiator and are not simply going off your perceptions. You should then be able to tell which radiators in your system heat up the quickest and will probably notice that those near the central heating boiler are fastest to heat up. Then switch off your central heating system. Then once everything's cooled down, turn the system back on and make sure you have a thermometer handy. Measure the temperature of both the inlet and outlet valves. The inlet valve should be 10 degrees warmer than the outlet valve - keep adjusting the valve until you get this difference. If you do this for each radiator in the house, they will all meet up at the same time and each radiator will have its inlet (lock shield) valve open at different degrees. Balancing radiators can be confusing but well worth it long term. You can always ask a central heating plumber to do this on your behalf, especially if your radiators are a little bit complicated, such as with column radiators. We hope that you have found this article useful. It can be complicated but with a little practice, you'll get it right. ​In this article, we are going to look at the pros and cons of underfloor heating. Underfloor heating is a popular option with people buying new heating systems for the home. This is because it has many advantages over traditional heating options. In particular, it is cheaper to run and offers greater heat distribution. By doing this, you will have a better understanding and appreciation of this fantastic choice of heating. Of course, it isn't all sunny rainbows, but you'll see that by the end of this article the pros definitely outweigh the cons. Installation costs can be expensive. This is because it can sometimes require a lot of work, such as lifting a concrete floor so that there is space between the concrete and the tiles/laminate. With the electric underfloor heating systems, you can install it yourself more easily than the wet systems. 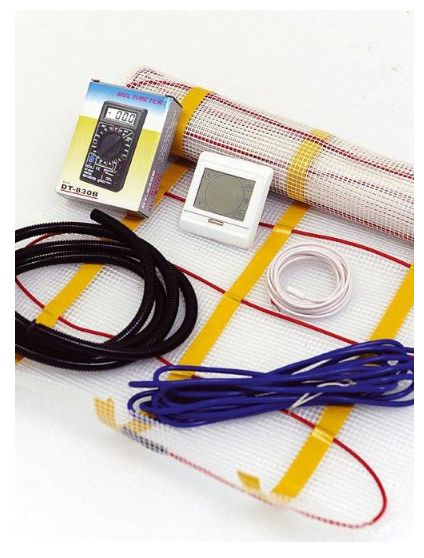 You just need to buy an underfloor heating kit and have a decent amount of DIY experience. We would never recommend that you try to install your own wet underfloor system though as they are more complicated to install. Depending on the thickness of the floor, it can take a while to warm up when compared to radiators. This simply means that you probably need to pay more attention to your thermostat and timer with underfloor heating. As long as you schedule your heating well, probably won't notice the difference. It isn't suitable for every type of floor. There are some floors where you can't really use underfloor heating, for example, if the floor is too thick it will act as an insulator and the Heat will not be able to escape properly. This would make the system more expensive. Ok, on to the good things, and there are many. The heat distribution is much better with under floor heating as long as you have installed it on a suitable floor. This is because it has a much wider spread for the radiator and it's much slower so the heat is able to warm more of the room. With an underfloor heating kit, you can install the heating yourself. For most people, this is practically impossible with central heating radiators or electric radiators, where you really do need a professional to install them safely. The heating is out of the way and so it frees up more of your room in terms of decor, but also in terms of space. You gain an entire wall that would usually have been lost to a radiator. We hope that you have found this article useful. Underfloor heating is a great option for any household and it can even Increase the value of your property. It is definitely something worth considering if you are a homeowner. ​Radiators have come a long way in the past two decades. You might not have thought the radiators have much evolution left to do, but the manufacturers have found some inventive ways to increase heat output and reduce running costs. If you are not aware of these features, then you might be missing out. We have written this article to teach you about three features that every homeowner should be looking for when they buy a new radiator. Thermostatic radiator valves replace manual valves on contemporary radiators. They allow you to set the radiator to a specific temperature, usually from 1 to 6, with each figure corresponding to your thermostat setting. For example, if you set your thermostat to 20°C, 6 will keep the valve open at the full temperature needed to get the house to 20°C. With thermostatic radiator valves, this happens automatically. With manual valves, you have to keep opening and closing the valve to dictate the temperature of the radiator. With manual valves, most people just left it open and this wasted a lot of energy. Therefore, Thermostatic radiator valves help you to save money on your energy bills. You should never buy a radiator unless it has been rust treated. Think about it: they contain water and if they are not protected, they will rust much faster. This is especially true of cast iron and aluminium radiators, but less so of stainless steel which tends to be incredibly resistant to rust. The most important radiator in this regard is the bathroom and toilet radiators. Because those rooms are damper, they tend to get rusty much faster. You have to buy a high-quality rust-resistant radiator if you want it to last more than a year looking pretty in the bathroom. Rust generally isn't a problem as long as it's on the outside, but it doesn't look very nice. By buying a rust-resistant radiator, you don't have to worry that the radiator is going to look bad within the year. It won't rust for a long time, if at all. It all depends on the aggressiveness of the damp in the bathroom. Rust-resistance is not the only thing to look for in terms of the quality of the radiator. You also need to make sure that the overall build quality is good. If you don't know anything about radiators, then just have a quick look over it and make sure that none of that joins look badly welded and nothing looks loose. A good way to verify build quality is to look at the length of the guarantee. The vast majority of contemporary radiators off the guarantees of at least five years. This is because they are generally good quality. However, if you want to ensure that you're buying exceptional quality, look for a radiator with a 10, 15, or 20 year guarantee. Obviously, the longer the guarantee, the better the build quality is. The radiators will be more expensive, but they will also last longer. We hope that you have found this article useful and you now understand the type of things that you should be looking for when buying a new radiator for your home. Paying attention to these factors will ensure that you buy an excellent radiator that will bring satisfaction to your home. ​Many of the latest central heating radiators are quite stunning and could almost be taken for works of art. Wall mounted with no pipes in sight, they can end up becoming a talking point. That may seem a little far fetched, but if you go onto your search engine and type designer radiators, you'll see what we mean. Radiators in the past have been a boring source of heat and don't warrant a second look. At some point in time, a radiator manufacturer must have had the same thought and decided to do something about it. The results are plain to see and selecting new radiators is now a pleasure. An acquaintance recently bought a run-down old apartment in the city centre. The potential to convert into a luxury three bed property was always there. He made the decision to design the whole project himself, and this involved hours of pouring over glossy homes magazines. And it also meant every spare moment looking at other ideas online. Part of the project involved installing a complete new central heating system. It was here whilst looking through a catalogue headed designer radiators UK that he realised that the radiator had to become an important part of each room's finished décor. One of the most useful aspects is that there are now many different sizes and shapes. This has resulted in some stunning polished chrome column ones that fit into the narrowest alcove. Some other radiators are finished in matt powder colours that reflect the furnishings and wall covers of the room. The whole exercise was one of the most rewarding aspects of the total refurbishment. It seems that radiator choices are a consideration for all new housing developments. And obviously, the more luxurious the property the more this is true. For what you're getting, the prices seem very reasonable. Like anything else in life, it's also possible to really push the boat out, and choose designer radiators that are eye-watering expensive as well. ​Designer seems to be an over-used word and as such, it starts to lose any impact. If I see clothes racks in a clothing store, why are some labelled designer and others, not? Looking through the online brochure of a business that advertises itself as home designers, that select all the furnishings and décor for my home, it occurred to me that they don't manufacture any items of their own. And the design bit is that they seem to have fairly good taste. The designers in that case, may be the person that made the original items. When someone designs something unique, whether a car, a website, original clothing and so on, the word designer may be properly used. But when the goods are then mass produced it seems wrong to still call it designer. I really must get out more often and find something really worth complaining about. These thoughts all began when I was looking at catalogues of radiators. The central heating system in this property is late Victorian and it's time all those old cast iron ones went. Funnily enough, enough money has been offered by an architectural recycler to more or less cover the cost of the new ones. Looking through the sections of radiators from column, to compact, chrome to vertical ones, the final selection is titled designer radiators. These unlike the others, have manufacturer's names on the listing, so I guess that makes them designer. It must be admitted that these designer ones are a long way from the plain steel oblongs most householders have on their walls. And the next point that strikes anyone looking for radiators, is just how many thousands there are of them. Instead of buying all the same ones for the house, it is going to be fun getting different ones for every room. 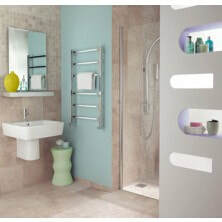 Particularly attractive are many of the tubular bathroom and kitchen towel rails. And shiny chrome along with other pastel colour shades will work well with background wallpaper. Are you buying new radiators for your home? Are you confused about which radiator to buy? If so, you have come to the right place. Today, we are going to provide you with a brief guide to help ensure that you make the right decision when buying your new radiators. Do you have central heating? 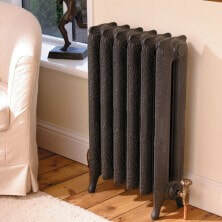 The first thing to decide when buying contemporary radiators, is whether to buy central heating or electric radiators. Both have their advantages and their disadvantages. If you have central heating, the buying central heating radiators is the best choice. They are cost effective and they work with your existing system. If you do not have central heating, then you can consider installing a new system (this costs thousands of pounds), or, you can buy electric radiators. Electric radiators are good because you can position them anywhere. They used to be a lot more expensive to run than central heating radiators, but with rising gas prices and the increase in renewable energy, they are becoming increasingly cheaper. In fact, some people with central heating are opting for electric radiators in some cases. For example, when they want to hang a radiator on a particular wall, but there are no water pipes. How Much Heat Do You Need? You need to match the heat output of the radiator to the heat requirements of the room. This is easy to do. All you need to do is use a BTU calculator to work out how many BTUs your room requires and then match this figure to the radiator. BTUs stand for British Thermal Units and it’s the way that we measure heat output in the UK. You can find calculators on most radiator websites. The best place to hang a radiator is on an outside wall or underneath a window. However, if you are buying a central heating radiator, this is only possible if the piping reaches that part of the room. If it doesn’t, you can extend the piping, hang the radiator somewhere else, or install an electric heater instead. We hope that you now have a good idea about what to look for when shopping for contemporary radiators. 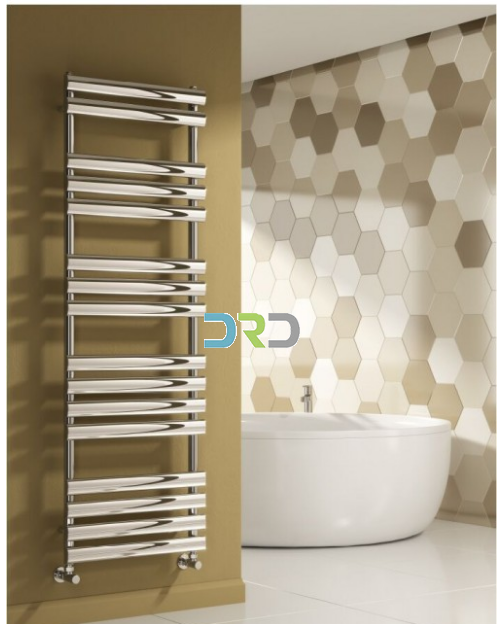 If you are interested in buying new radiators, please visit https://www.designerradiatorsdirect.co.uk/. According to many experts, central heating radiators are far superior to electric radiators. Whilst this certainly used to be the case, we can no longer be assured of this. Today’s electric radiators offer some incredible benefits, and while central heating radiators still have the edge, it’s uncertain how long this will last. If you're unsure about whether to install electric or central heating radiators, then you should read this article. Below, you will find four key benefits to electric radiators. a. Electric radiators use 100% of the energy input. Central heating radiators can lose energy via the flue pipe and as the water moves around the system, they lose heat through the pipes. b. Night storage heaters cost a fraction of the price of standard electricity. If you buy wall mounted electric radiators that have the night storage heaters, you will receive a special “night tariff” from your energy supplier. This can cost as little as 4p per unit of electricity used. c.The increase in the use of renewable energies is starting to reduce the cost of electricity, and therefore the cost of running electric radiators. With central heating radiators, you have to place them where the water pipes are. You can install new pipes, but this costs money and it also makes the system more vulnerable to leaks – the more piping there is, the greater the chances of developing a leak. With wall mounted electric radiators, you can place them wherever there is a wall. This makes them much more convenient. It is easy to install an electric radiator. Sometimes, all you need is a plug. You might need an electrician to create a special outlet for the radiator, but this is generally cheaper than paying a plumber to install a new radiator. Modern electric radiators have numerous controls that allow you to programme the radiator. With central heating, there is some degree of control, but it is nothing akin to central heating radiators. Are you interested in buying new radiators? If you are, please visit https://www.designerradiatorsdirect.co.uk/. We’re not far off the first of October and amongst the big gas supply companies in the UK this is known as central heating day. It seems the majority decide to switch the system back on after the summer. So make sure you’ve had the system serviced before then. Only a very small number of UK homes are without central heating installed. This is in marked contrast with the situation just fifty years ago. It was in the early nineteen-seventies that central heating salesmen came knocking door to door in every street in the land selling central heating. The reason was easy payment terms and the introduction of credit. Mortgages could be had along with bank overdrafts as easy as you liked. The government were actively encouraging easy credit to kick start a sluggish economy. Back in the seventies homeowners were so delighted to be offered central heating for just a few quid a month spread over three years or more. That they signed on the dotted line immediately. Having just read an article about MHS radiators, reminds me that back in the seventies not a single householder would have known or cared about the manufacturer of their newly installed radiators. They probably all came from just one or two companies and were bought by the million by British Gas. Today there are hundreds of manufacturers all over Europe and the rest of the world. They come in every shape and size along with some very fancy metal finishes. And they can cost forty pounds or several hundred, just depending on your wallet. With central heating came a better understanding of the curse of heat loss from the average UK property. After the central heating salesmen came the double glazing salesman. And perhaps a few months after that event, the loft insulation man came knocking on the door. Just as car engines have become far more cost effective in recent years, so have central heating boilers and radiators.